Heat oven to 375°F. In medium bowl, stir cookie mix, flour, melted butter and egg until soft dough forms. On floured surface, roll dough to about 1/4-inch thickness. Cut with about 2 1/2- to 3-inch cookie cutters. On ungreased cookie sheets, place cutouts 1 inch apart. Bake 6 to 9 minutes or until edges are light golden brown. Cool 1 minute; remove from cookie sheets. Cool completely, about 15 minutes. Spread frosting on cooled cookies. Decorate as desired with icing, sprinkles and sugars. Store cookies in tightly covered container. For directions for making your cookies into ornaments, search for the Holiday Cookie Ornaments recipe. 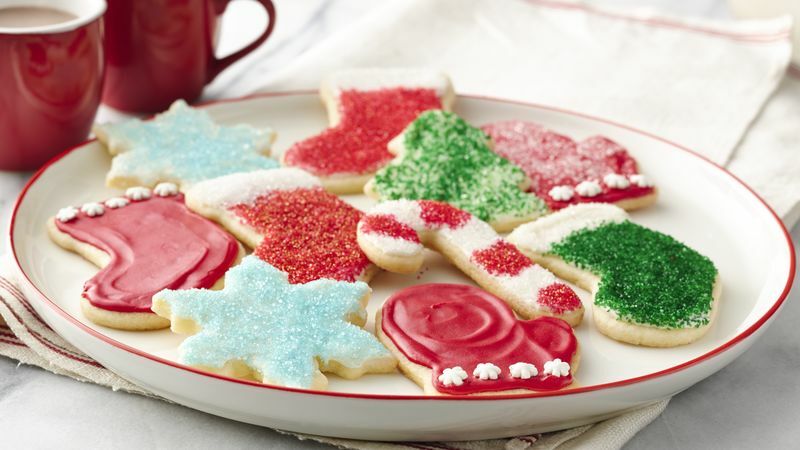 Cut cookies with a cutter dipped in flour or powdered sugar. Cutting shapes as close together as possible on the rolled dough helps you avoid rerolling the dough scraps (rerolled dough will be a little tougher). Roll dough to an even thickness by rolling between clean wooden dowels or rulers of the same thickness. If using 20% more cookie mix, add 1 tablespoon water with the mix, butter and egg.